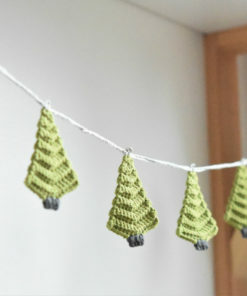 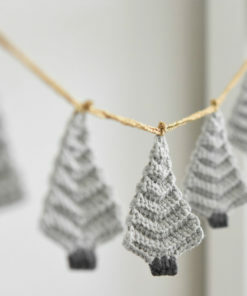 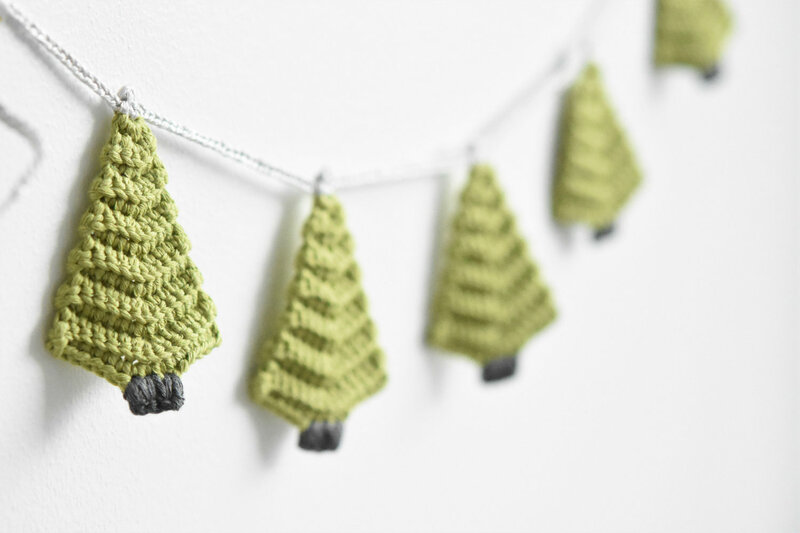 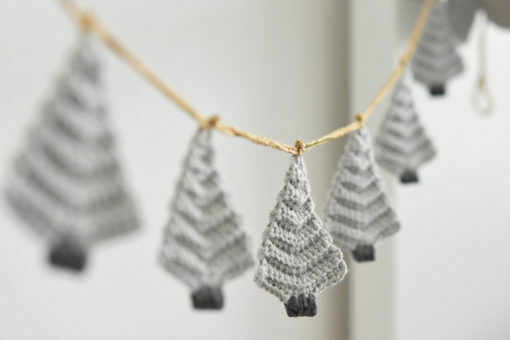 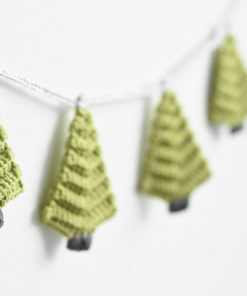 Christmas tree garland pattern is actually much more then it says. It`s so versatile and gives a lot of space for creativity. 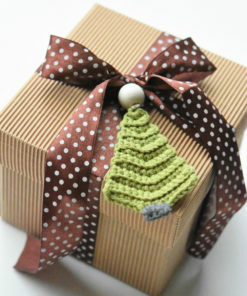 In this pattern you will get tree instructions with 3 different ideas of assembling. 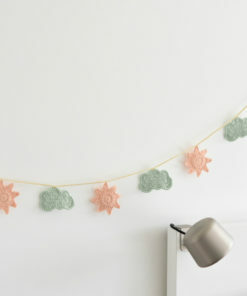 The garland can be used as a decoration on walls, shelves etc. 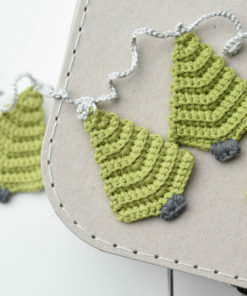 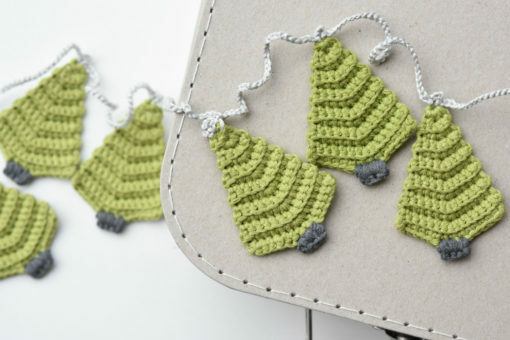 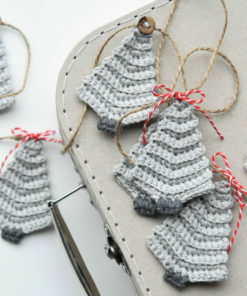 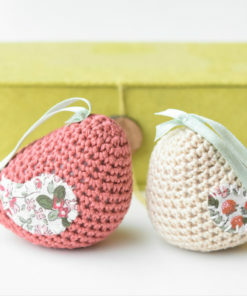 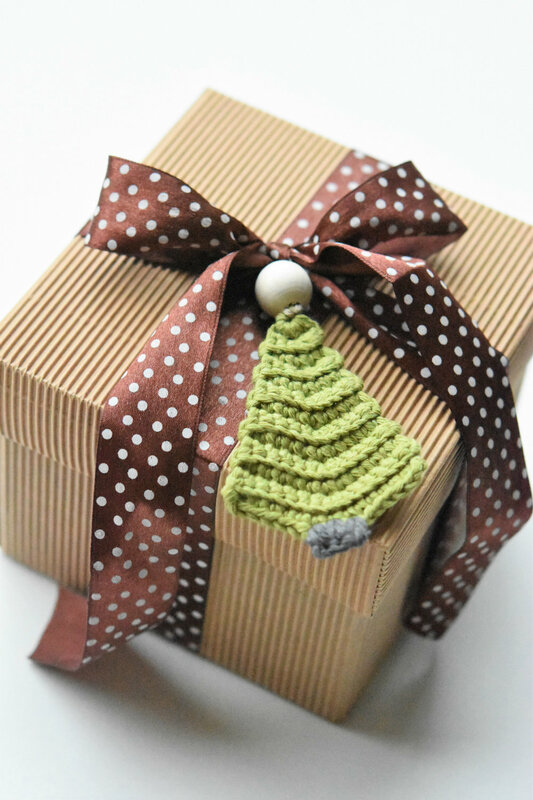 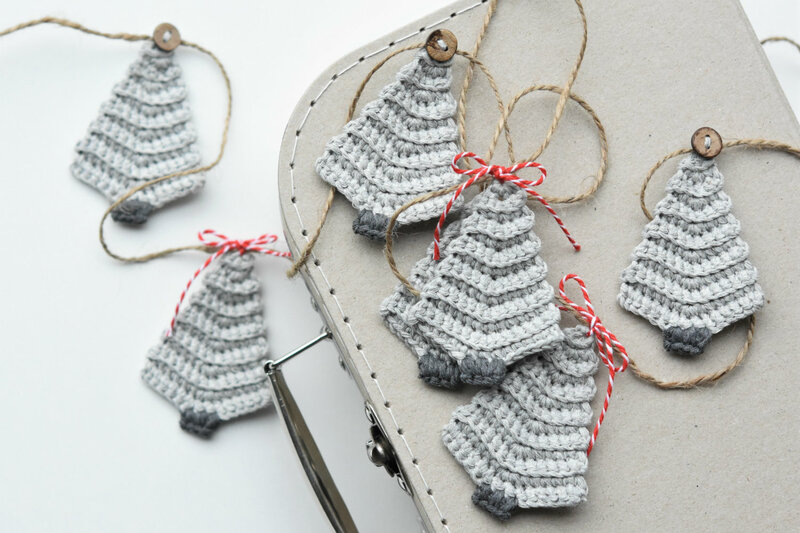 The tree motif can be used separately as a tree ornament or in gift wrapping. 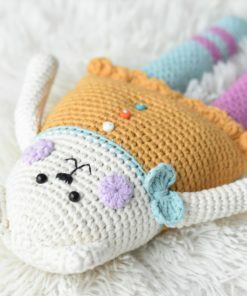 Let your imagination guide you! Pattern in English, Spanish, Dutch and Danish. 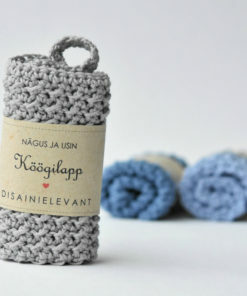 Size: easily adjustable. Each tree measures about 7 x 5.5 cm (2.75 x 2 inches). 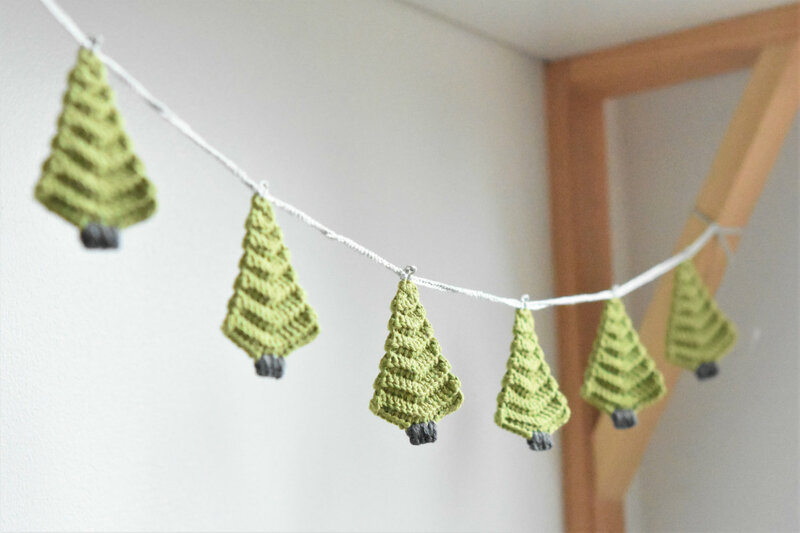 The example garland is made of 9 trees and is, measured from one end of the strand to another, about 140 cm (55 inches) long. 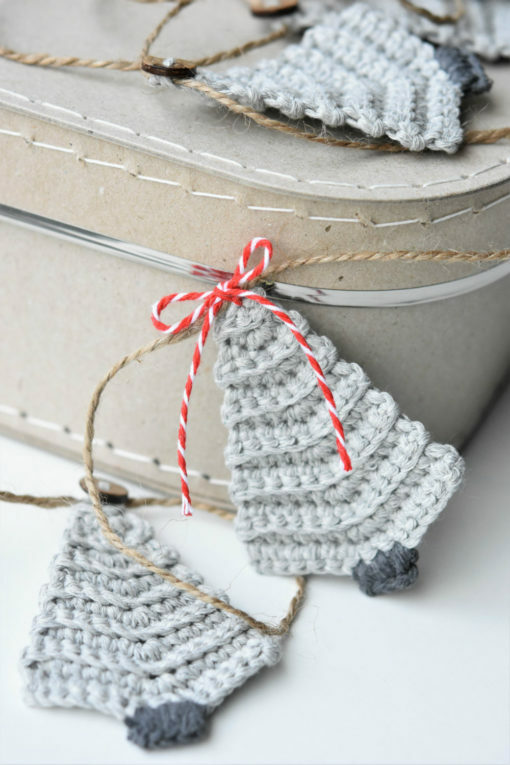 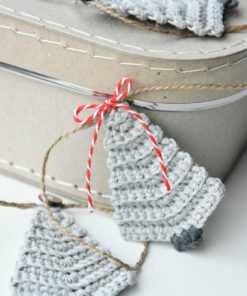 The pattern uses 2.5 mm (C) crochet hook and DK (8 ply) weight yarn.